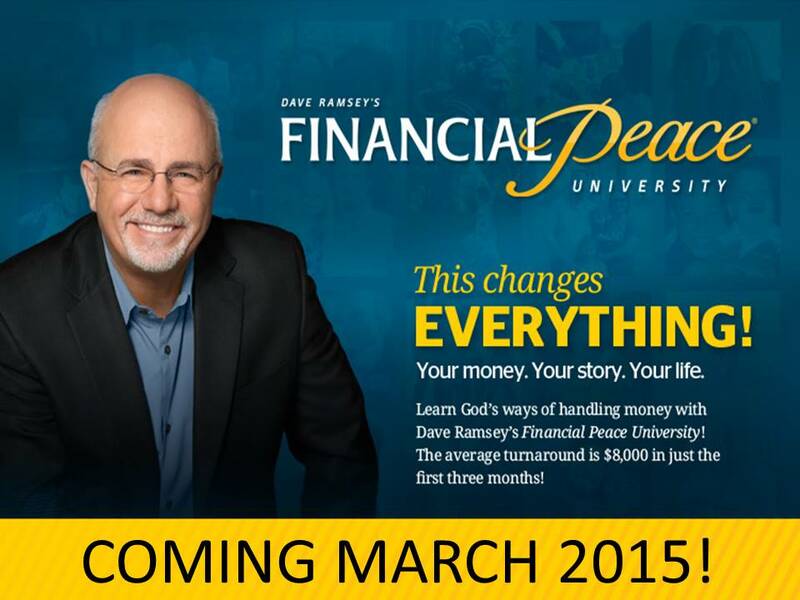 FINANCIAL PEACE UNIVERSITY is returning this March! This special course is designed to help people of all ages, situations, and incomes grow in their understanding and use of money. The course will take place on Wednesdays at 7pm beginning March 4. Orientation sessions for FPU will be held on Sunday, February 22 and Sunday, March 1. Membership kits full of class materials and other goodies are available through the church at a reduced rate of $25. If this presents a hardship, scholarships are available. If you would like more info about FPU or have any questions, please see Blaine or email the church office.